Club Kuru are a British five-piece psych-rock band, fronted by Laurie Erskine. Following last year’s widely acclaimed EP/single releases, which saw them secure notable support from BBC 6Music and Radio 1, they are now readying the release of their debut LP ‘Giving In‘. 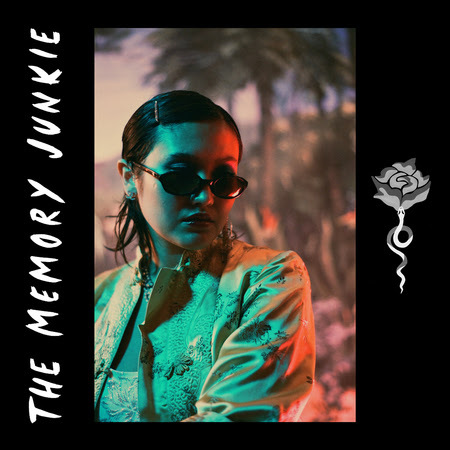 Scheduled for release on 23rd March 2018, the album features the singles ‘You Want It Bad‘, ‘Giving In‘ and a brand new track out today; ‘The Memory Junkie‘. Listen here. After leaving music college in a fit of rage at receiving poor grades for a piece he had spent four years writing, Erskine began to play London’s jazz clubs whilst never really fulfilling his true potential. This, he says, was his first taste of true disappointment, aside from failed relationships and expulsion from two high schools; “I never really had a chance, as I was later diagnosed with ADHD and depression“. In an effort to make a mark, he started song writing, hoping his output might connect with an audience more than his left field jazz compositions had. With the help of his older brother (a successful producer who has worked with artists including The Prodigy and Benga), Erskine learned how to produce, and wrote his first two records as a singer; “Originally I never wanted to sing but couldn’t bear my songs being butchered. On release I decided I hated them, and fell into a deep depression. At the same time my fiancé left me“. Despite real promise of success under the guise of Club Kuru in its solo incarnation, with the financial support of his brother, Erskine battled his label for the rights to his songs and deleted all trace of them. He says, “Listening back they weren’t so bad. I still owe him the money“. In 2016, after all his band mates except bassist Fergus Ireland had left him, he formed a new band with fresh ideas. Guitarist Laurence Hammerton‘s positivity and upbeat nature allowed a new sound to emerge; one with more joy and groove. Thus CK.2.0 was born. With the addition of Graham Godrey and Jess Berry, together building their own studio in north east London, they had a band. Collectively, the talented members of Club Kuru can be found also gracing the stage with artists including Cosima, Max Jury, Michael Kiwanuka and Sowento Kinch. The album reached completion in early 2017, but the studio the band had worked so hard to build was demolished and left them without a place to work. Building the studio together was an important process for the band; they toiled over it with their own hands, effectively becoming makeshift carpenters and electricians in the process. The rest of last year was spent building a replacement studio and now the record is ready to see the light of day. A prolific song writer, Erskine admits, “I believe in this album but not as much as the one I’m writing now“. Reminiscent of contemporaries and influences Connan Mockasin, Tame Impala and Mac DeMarco, the band share inspiration from classic greats such as Shuggie Otis, Vangelis, Herbie Hancock and Quincy Jones. You will often hear Steely Dan and The Beach Boys humming from within the studio walls. They even use and have studied recording techniques from a bygone era, solely using analogue synthesisers. Ultimately, the sound is unique – it is the product of the band’s bare hands, put together in the space they worked tirelessly to perfect. Using only those mics, those instruments, those particular players; it is entirely their own. ‘Giving In‘ will be released on 23rd March via Absolute. HANZ shares video for “Plasty”. EP ‘Plasty I’ out today on Tri Angle!